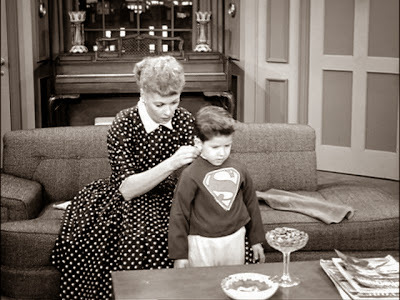 Don't you just love I Love Lucy? Everyone in our office loves this show and we imagine you do too! 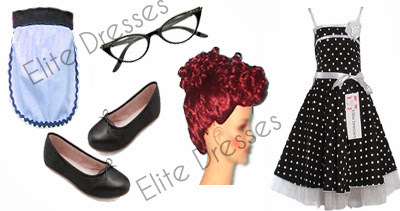 To celebrate our fondess for the I Love Lucy show, we decided to create a I Love Lucy costume for little girls style board. See more details to get her this adorable dress in just 2-3* days! You don't have to spend too much with your daughter's Halloween costume. Do it yourself! Buy a party dress for girls that your daughter can still wear on another occasion after a one night only Halloween affair.